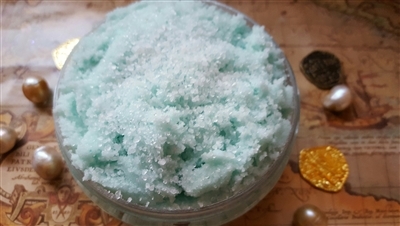 An 8 ounce creamy Dead Sea Salt Scrub with added Shea butter. Smells of the saltiest lime margarita fit for a siren. Tetrasodium EDTA, and Fragrance or Essential oils.